Our systems are failing us: Prem Rawat in the interview “History Repeating”. 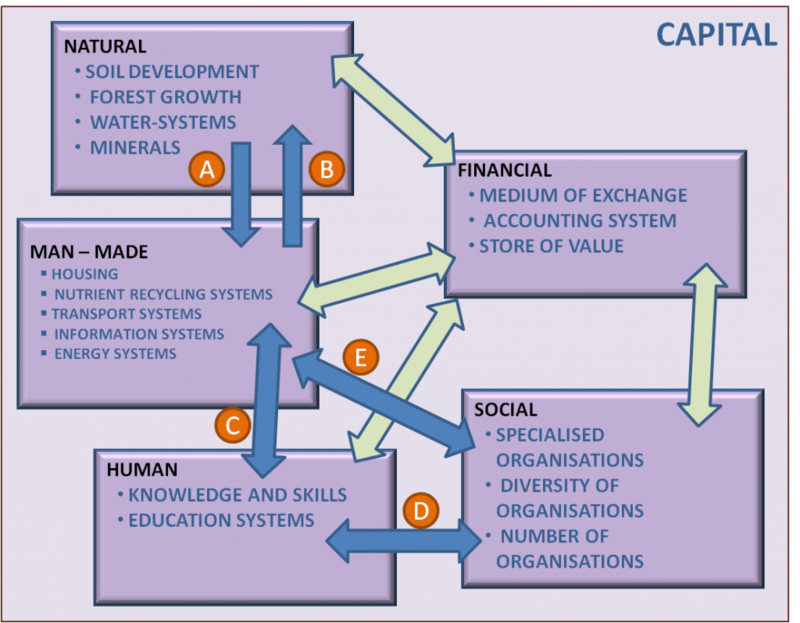 The challenge for financial permaculture, then, is to design an economic system which provides a platform capable of providing the basics; people care, in harmony with nature, planet care, in a fair way, fair share. At national policy level, the Swedish Sustainable Economy Foundation, TSSEF.se, postulated that the modern monetized and digitalis ed economy could, with the right stabilisation controls in place, offer a platform where prosperity could develop for all citizens. 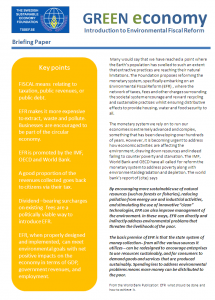 See the briefing paper here that explains how Environmental Fiscal Reform could be applied. This article gives an explanation of capital as infrastructure: something used in the production process, but is not used up or incorporated in the final product. Read the article here on A Very Beautiful Place website. The same article introduces the reader to the concept of ecological maturity and economic maturity. The Biomass Municipality ensures biological nutrients circulate locally, that soil enhancement and biogas are extracted from the waste stream and that the local economy thrives as a result. This article explains how fiscal incentives can be used to drive the circular economy. The slides are taken from a presentation to the Baltic Sea Action Group in Finland. The white paper describes the next steps in development of a complementary currency: where the currency is not tied to national currency, but tied to local biomass and the products and services arising from it. In order for a local economy to function, all of the five P’s must be in place and function together. Many local economy projects falter as one or more of the elements is weak or missing. The 5 P’s: place, people, products, payment mechanism and projects (organisations). We have found that the best way to understand the power of a functioning local economy is to participate in a simulation. The simulation measures the economic activity in the “community” where activity goes from zero to a functioning market in two hours. Read more about the simulation here. Unlike shares or direct loans, these debentures do not give money as interest, but products and services. 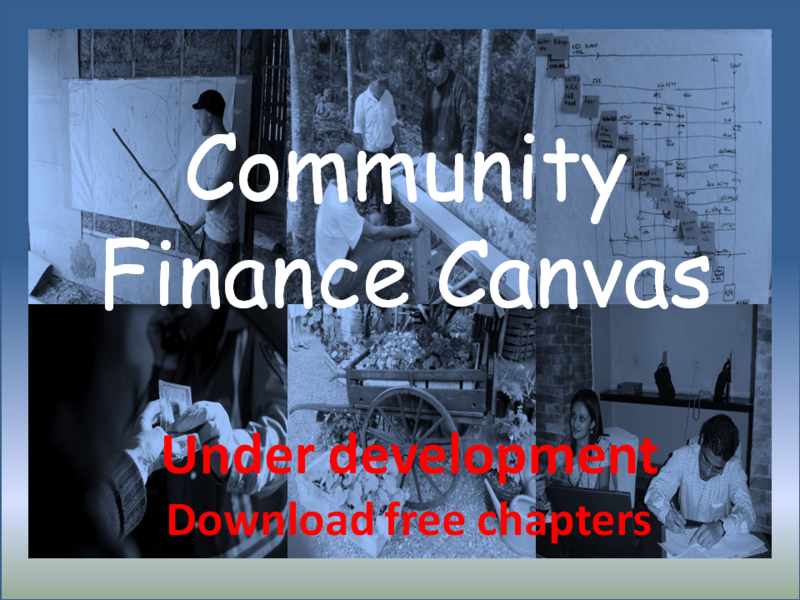 The canvas was developed to help communities address the financial side of their plans and was designed to provide the basis to create a business plan, including the three elements of financial planning: profit and loss, balance report and cash flow analysis. the canvas was also intended to help groups create a financial plan for their permaculture designs. Learn more about the canvas here. Communities are best placed to provide basic services in the face of coming fossil fuel use decline. They can also be more resilient and sustainable. Read more here….. This is an online, global mutual credit system envisaged and being developed by Mathew Slater and Tim Jenkin. The platform allows users of any local currency to exchange with any other. The white paper is a good grounding in monetary theory and explains the thinking behind abandoning national currencies altogether.